Through educational and social engagement, our objective is to offer a respite for children and families and to provide an experience that builds self confidence, self esteem and self reliance; where a sense of “can do” carries the day. Interaction with our animals and volunteers provides participants with an extraordinary experience. 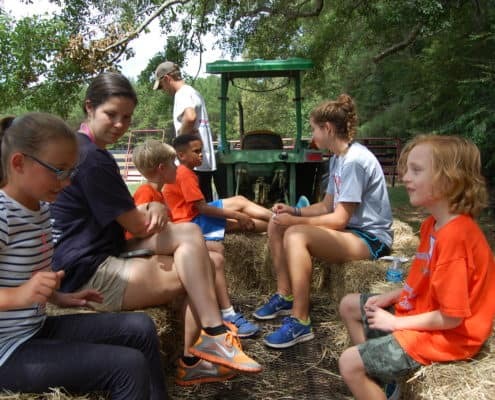 For your group’s field trip, Storybook Farm is transformed into an exciting and educational festival as participants are fully immersed into all aspects of SBF programming. Multiple games and learning stations are scattered across Storybook’s 25 acres and are designed to stretch young minds in a non-traditional educational setting. Like all of Storybook Farm’s programming, field trips are provided at no charge to the participants. Instead, please consider bringing items from our Wish List when your group visits.